Technology has already taken off at a breakneck pace, and the domain of robotics has shown many remarkable commitments. Just 33 years since James Cameron’s chimera of robotic assassin captivated audiences across the globe, humanity’s endeavor to build the machine men has grown ever-closer to reality. From tiny nano-bots invading human tissues to cure diseases or perform the medical operation, to unmanned robots moving cockpit of a fighter plane thousands of miles away, these human creations are mind-boggling. With the incredible capabilities that these robots offer, they are put to use in many fields including chemical, medical, engineering, military, education, and even daily life purposes. The corporate world is enthusiastic about jumping into the blooming robot market, offering up machines that can assist and tranquilize humans, explore the galaxy and discover planets, and even mimic a living creature. Here are the 5 most advanced and latest robots around. This car-sized robot is a part of the NASA’s Mars Science Laboratory (MSL) is entrusted to explore the Gale Crater on Mars. Curiosity was launched from Cape Canaveral on November 26, 2011and landed on August 6, 2012, on Aeolis Palus in the Gale Crater on Mars. This robot will serve as the basis for a planned Mars 2020 rover mission. This is NASA’s longest projects till now, which involved 10 years of preparation and a total expenditure of $2.5 billion. PackBots are the robots made by the American company- iROBOT in 2001. It was first used by the US military to find anti-personnel mines, search buildings, and clear caves and bunkers during Afghanistan war (2001-2002). 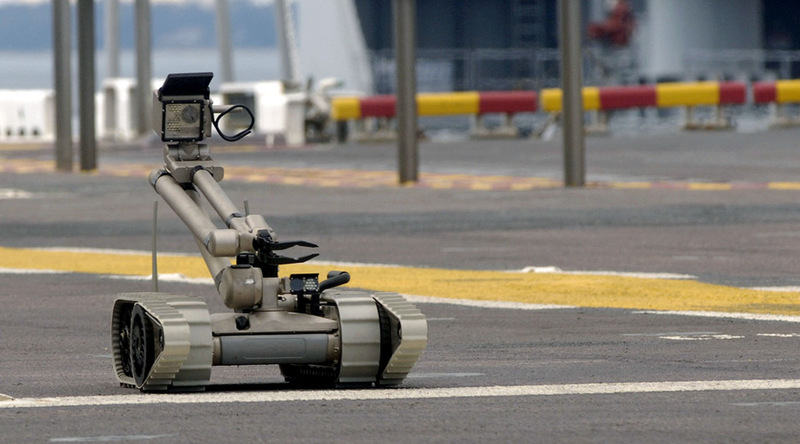 Around 800 PackBot robots were deployed in total in several regions of Iraq and Afghanistan. Its unique propulsion system allows PackBot to run with a velocity of 14km/hr and can be carried in a backpack to be deployed anywhere immediately. It could be controlled with ease via computer through its extensive GPS receiver’s different sensors. The PackBots could be used to dispose bombs or improvised explosives and analyze environmental conditions during warfare. Titan from the house of German industrial robot manufacturer KUKA Robotics holds the Guinness Book of World Records of the world’s largest and strongest robot manufactured on June 13, 2007. With its 9 motors and a payload of 1000 kg. 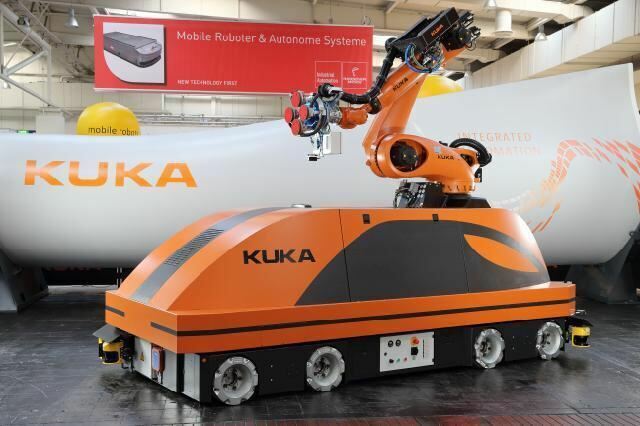 the KUKA KR 1000 Titan 6-axis robot delivers the power of a mid-sized car. This robot can bridge distances of up to 6.5 m and ensure precise handling of several steel sections, heavy engine blocks, components of aircraft and ships and also precast concrete parts. This is an award-winning robot presented by Google in the 2013 DARPA Robotics Challenge. The humanoid robot, Schaft is able to perform several autonomous tasks, like navigating disaster areas and work with any tools or materials in hand. The Schaft robot can lift and clear heavy debris during rescue operations. As an HRP-2 built a robot, it has an extra level of articulation which is presented by the innovative motors used to power and perform its movements. This conventional robot weighs 209 lbs, 4’10” high and capable of moving at a speed of 2km/hr. Manipulating safety knobs, operating drills and turning a doorknob are some of the unique skills that this robot has mastered. While these robots are some of the coolest and show the hidden potent of robotics, the world of technology has a lot more to present. While BigDog of Boston Dynamics shows the future of transportation over rough terrain land, robots like the Milo Robot and KeepOn may be able to deal well with autistic children. Altogether, we can say robotics is the future.